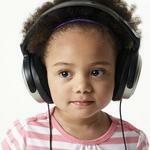 Hypersensitivity To Sound Reduced and Calmer after AIT! 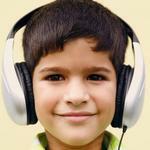 Testimonial by the Parent of a boy with hypersensitive hearing who completed Berard AIT. "Since receiving his therapy, he has calmed down a lot and will play for a short time with his toys." "Before Colin had therapy he was very restless and wouldn't settle down to do anything. He didn't want anyone to annoy him or play with him. Also he got very distressed at some sounds. Since receiving his therapy, he has calmed down a lot and will play for a short time with his toys. Sometimes he will go to one of his sisters and try to make them play with him. I know the therapy has not cured Colin but it has made a big difference and we would like to come back again for another course of therapy."